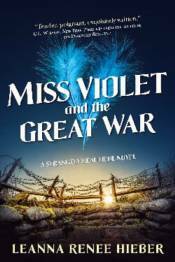 Miss Violet and the Great War begins in Victorian times and sweeps readers forward to the incredible tragedy of the First World War, when millions died in the trenches and on the battlefields. Violet Rychman has been gifted from birth with the ability to see and hear ghosts...and with terrible visions of a future conflict. When war erupts, Violet knows that it is time for her to take up her life's great mission�to attempt to shorten the war and to save lives by using the supernatural abilities she was born with, and the new powers bestowed on her by the ancient Muses. One woman, alone, trying to stop an international conflict. It seems impossible. But Violet has allies she hasn't even met yet.